Stewart’s life was cut short while making his eye-opening film about the continuation of illegal activity in the fishing industry; notably cruel capture methods and the disgraced process of removing shark fins for great delicacy. 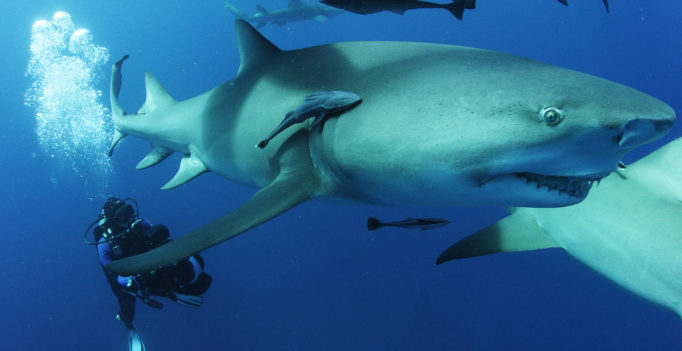 Throughout the film, as viewers receive observations and updates that should inspire crowds to take action, Sharkwater: Extinction includes personal audio of Stewart that has now taken on a harrowing nature foreshadowing Stewart’s final months. The film’s initial purpose is still in tact and, out of respect, the Sharkwater: Extinction team hasn’t bothered to emulate Stewart to guess the ending the late filmmaker wanted. The gentle balance and mirroring is consistently mindful. When Sharkwater: Extinction shifts gears to stick its landing with an accumulative send-off, the results are poignant and nothing short of miraculous.